This is a special retirement keepsake from coworkers or employer is an unique gift the retiree will cherish. 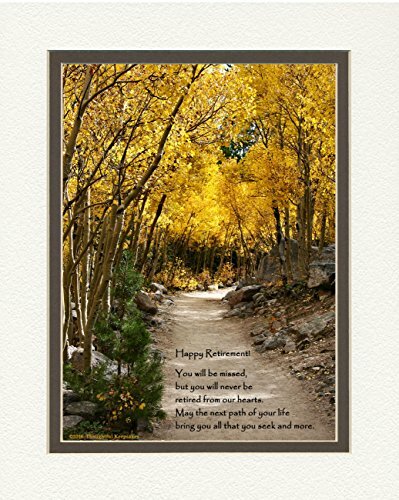 Beautiful photo of a lovely serene path surrounded by aspen trees includes the sentiment: Happy retirement! You will be missed, but you will never be retired from our hearts. May the next path of your life bring you all that you seek and more.